The world's most realistic football simulator, Madden NFL 17, defies one of the most widely known scientific facts known to man: the sun rises in the east and sets in the west. Even the ancient Sumerians got that fact right! But, as you might guess, the exact opposite happens in Madden NFL 17. In Los Angeles, the sun rises in the west and sets in the east. Oops! 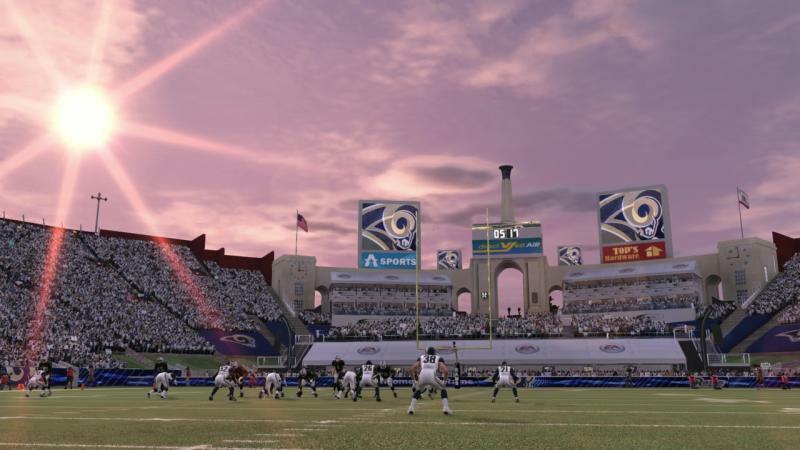 This is largely due to the fact that the L.A. Rams moved cities this past off-season from St. Louis, where the layout is inverted from the team's new home. EA forgot to account for this change, and fans subconsciously noticed that the whole lightning effects in the evening games looked… off. Not just in Los Angeles either. The glitch throws a few other stadiums out of whack with its brand of physics defying reality, everywhere from Arlington to Kansas City! Fans made their observations known to EA, and the company's response… oh, it's so brilliantly cheeky. Our art team is investigating the issue, and working on correcting it for future editions of Madden NFL. In the meantime, we hope players enjoy this sneak peek into what the world might look like if the Earth rotated in the opposite direction. So there you go, guys! Don't get mad. It's just a fun little glitch that EA will fix, and if things get too hairy, hey! Tom Brady is playing again this week! You can always blame him!